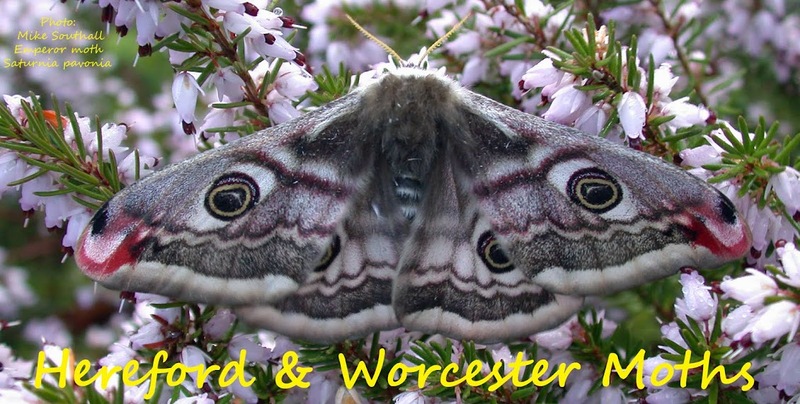 Hereford and Worcester Moths: Clearwings etc. Tony and I tried pheromones at Rough Hill Orchard yesterday. The site is an old, somewhat neglected, orchard on the banks of the Avon near Pershore. 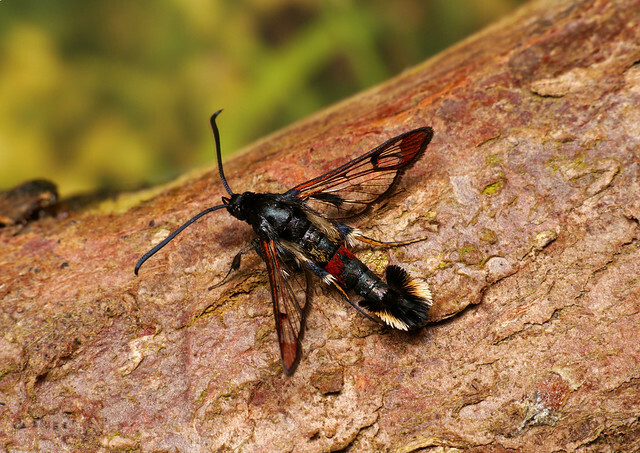 We were successful in attracting Red Belted and Red Tipped Clearwings. 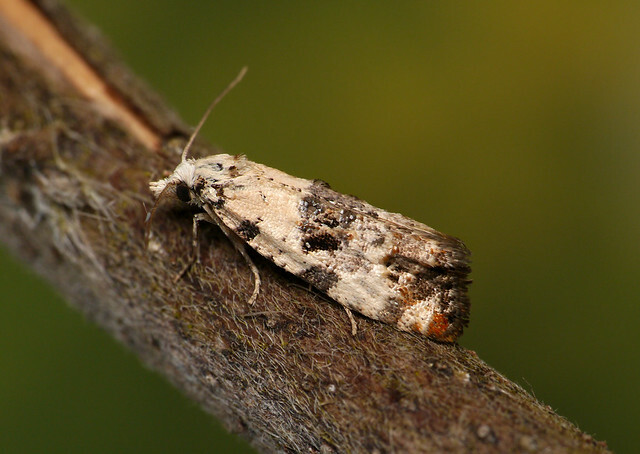 Later in the evening I went up to Windmill Hill again to check for Phtheochroa sodaliana, a moth that has recently colonised the small amount of Buckthorn that is in a hedge bordering the reserve. The year before last, Tony Simpson found the larvae feeding in the berries for the first time after having checked for them, without success, at this site for many years. I missed the larvae last year so I have been hoping to catch an adult at dusk when they can be found flying around the food plant. I was finally successful yesterday at dusk.